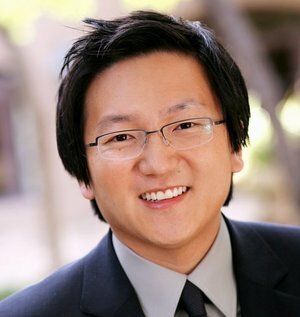 Masi Oka is a Japanese American actor and digital effects artist. He is best known for his roles as Hiro Nakamura on NBC’s Heroes, and Dr. Max Bergman on CBS’s Hawaii Five-0. He graced the cover of the August 31, 1987 issue of Time magazine titled “Those Asian-American Whiz Kids” when he was 12. Born Masayori Oka on December 27, 1974 in Tokyo, Japan, his parents divorced when he was one month old, and he was raised by his mother, Setsuko Oka. He moved to Los Angeles, California, USA when he was 6. He attended elementary school at The Mirman School and graduated high school from Harvard-Westlake School. Following graduation from Harvard-Westlake School in 1992, he worked on the 1992 Summer Olympics as an English, Spanish, and Japanese translator. He graduated in 1997 from Brown University with a Bachelor of Science degree in computer science and mathematics. *He was born on December 27, 1974 in Tokyo, Japan. *His parents divorced when he was was one month old. *He has never met his father. *He has a 180-plus IQ. *She speaks Japanese, English and Spanish fluently. *His hobbies include kendo (Japanese sword fighting), playing video games, watching and writing romantic comedies, playing the piano, beatboxing, and singing.